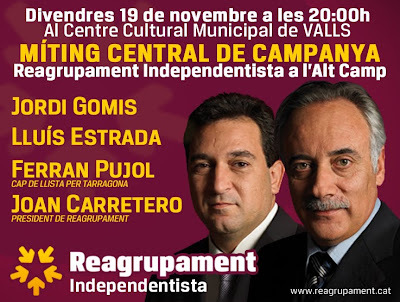 Reagrupament Independentista (RCAT), is an association fully committed to Catalonia’s independence and Political Regeneration. Though we are not properly a political party, our project is to promote electoral options (local or national lists, coalitions, platforms, etc) to contest elections in order to form a majority at the Parliament of Catalonia willing to pass a Unilateral Declaration of Independence (UDI). RCAT considers that the only way to preserve and promote Catalonia as a nation, is to access to Independence, Statehood, EU and UN memberships. Under the Spanish rule, there is no future, but a more or less slowly process of minorisation, first, and elimination as a people, in the end. During the last decades, the formation of new states has been a feature of World politics. It is the outcome of globalization and democratization. The new Catalan state, in this sense, will promote democracy and cultural diversity. RCAT as an association was formed in 2009. Since then, four national assemblies have been celebrated. The I Assembly (october 2009) elected the national Executive. In the II Assembly (march 2010) a political roadmap was approved. In the III Assembly (july 2010), was decided to support an electoral list to contest to the parliamentarian elections. Finally, in the IV Assembly (June 2011), a new National Executive was elected and a reviewed Political Platform was approved. 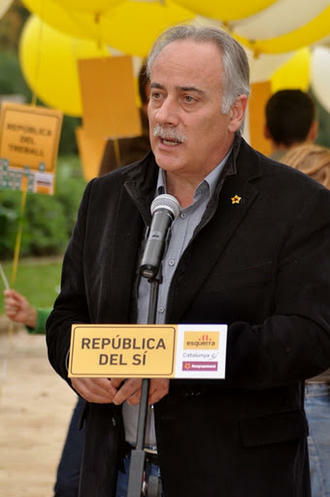 Joan Carretero i Grau (1955) is the current President of the association. It was so elected in the I Assembly, and again in the IV Assembly. Professionally he is a Doctor working in the Catalan Health Service. He lives and works in Puigcerdà (Cerdanya). Politically, he is a former Puigcerdà Mayor (1995-2003) and a former Catalan Minister of Governance and Public Administration (2003-2006). He doesn’t consider himself as a professional politician, but a professional in politics. 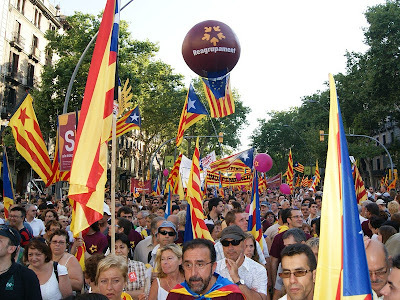 RCAT considers that support to Independence is ideologically transversal among the Catalan society. That implies that we can find pro-independence supporters of different ideological perspectives. In this sense, RCAT considers that these ideologically differences must be put aside until the Declaration of Independence. As a consequence, RCAT members come from a diversity of political spaces. We have decided to emphasize those values we share: the fight for Independence, the Political Regeneration and the ethics of Work. In coherence with the principle of political transversality in the fight for Independence, RCAT has developed a political strategy consistent in building coalitions with other groups and political parties that also promote independence. 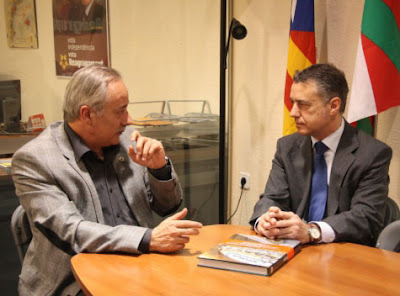 Unfortunately, a first offer to build such a coalition made by Mr. Joan Carretero to contest to2010 Parliament of Catalonia election, was rejected by others groups. The lack of a Pro-Independence transversal list was severely punished by voters. The number of pro-Independence MPs fell from 21 to 14. This electoral outcome contrasted with the growing number of pro-Independence supporters showed in media and academic polls and surveys.Things changed a little bit for 2011 Local election. RCAT members successfully built local coalitions with a number of other pro-Independence groups. In the National Capital,Barcelona, UnitsXBarcelona (UxB) list, a coalition including RCAT, ERC and DC, managed to gain 2 seats. 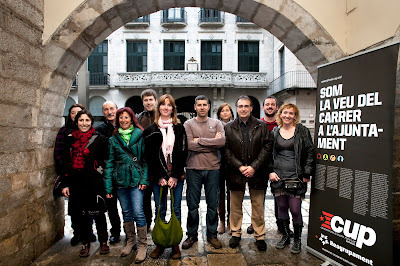 In Girona, RCAT won 1 seat, in a list shared with CUP. Totally, RCAT saw about 60 local candidates wining a seat. Numbers aside, what really mattered was that a first step to independentists unity had been done. Political analysts and journalists, in this sense, emphasized RCAT capacity to reach agreements with virtually all groups and parties that favour independence. This experience was so positively valued that facilitated the formation of a new coalition to contest to 2011 Spanish Parliament elections. Now, the coalition was formed between RCAT, ERC (who had changed its leadership just days before), and Catalunya Sí (a citizens platform). Early polls gave to the coalition no representation at all. However, perspectives grew after the first electoral campaign week. Finally, the coalition managed to gain three seats at the Congreso de los Diputados chamber (2 in Barcelona, and 1 in Girona). 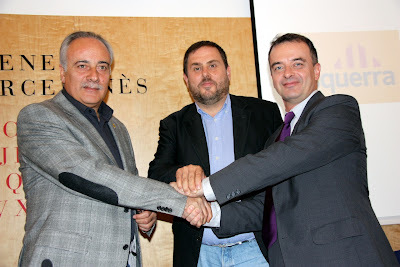 Later on, RCAT has supported the formation of Assemblea Nacional Catalana (ANC), a grassroots transversal movement. Also, a cooperation with EAJ (Basque Nationalist party) has started following a strategy to make international alliances and partnerships.To sum up, however modest the outcomes have been, it is well evident that RCAT has been instrumental to reverse a negative trend. 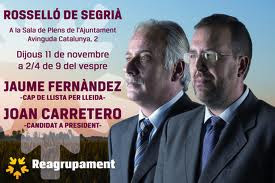 Now, the challenge to form a Pro-Independence unity coalition to contest next Parliament of Catalonia elections (scheduled, in principle, in 2014) is unavoidable. RCAT will do its best to make it happen.